St Paul the Apostle Catholic Church: Welcome to St. Paul the Apostle in Flour Bluff! Welcome to St. Paul the Apostle in Flour Bluff! Welcome to our parish web site, a parish in the Diocese of Corpus Christi. On this site there is information about our church, location, and parish community. You will also find our history, and the most important aspect of our life together, the celebration of the sacraments. There are 197 Dioceses, included in 32 Archdioceses, in America. The Diocese of Corpus Christi with the beautiful name of the Body of Christ was created by Pope Saint Pius X in 1912. Saint Paul the Apostle Catholic Church was founded in 1967 by Bishop Thomas Drury on the feast of Saint Peter and Saint Paul with Father Robert Freeman as its first pastor. Under Father Freeman, the church property was obtained and the first church, rectory, classrooms, and office space was built. Under the leadership of the second pastor, Monsignor Mark Chamberlin, the present church and Adoration Chapel, the parish hall, the present rectory and offices were built and the old church reconfigured into classrooms. He also gave a portion of parish property to the Religious Missionaries of Saint Dominic to build a convent and they then built Our Lady of Rosary Catholic School. Under these first two pastors and a few pastors after, the parish community grew significantly. As of August 2017, our community consists of one thousand twenty-seven families registered to our parish. As a community of faith, we want to welcome all who want to share our faith under the universal guidance of our Pontiff, Pope Francis, and under the guidance and leadership of our local Most Reverend, Bishop Michael Mulvey, the eighth bishop of the Diocese of Corpus Christi. Saint Paul the Apostle Catholic Church exists for the sole purpose of carrying out the Mission of Jesus the Christ, the salvation of all humankind, by living and spreading the Good News. Our Church exists to extend the hands and feet of our Lord Jesus Christ to bring witness to the presence of Christ in the Flour Bluff area of Corpus Christi. then we are here to walk with you through the Sacraments of the Catholic Church. We come into this world not by incident, by chance, by predestination, nor by any force, but we come into this world out of God’s love. So much does he love us that He sent His Only Begotten Son, Jesus Christ, to come in his full humanity to show us the way, the truth, and the life. He also comes to us in his full divinity to bring us back to God the Father. 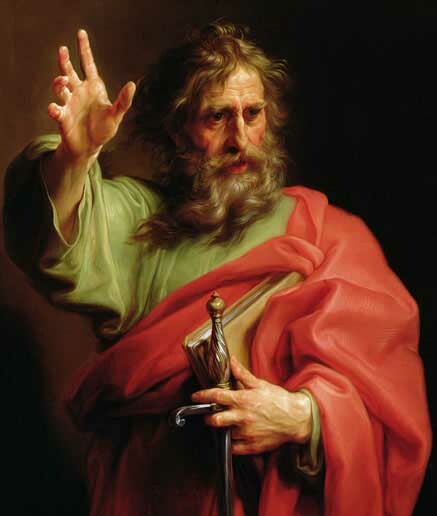 Saint Paul experienced God’s love in his conversion; we are invited to follow his footsteps. Stop waiting, just join. For upcoming events see the bulletin or monthly calendar under Parish Life. During Lent: Confession on Friday 7:00-7:30PM; Fish Fry on Friday 3:30 -6:30PM. Lenten Mission: Tuesday, Wednesday, Thursday of April 9 through April 11 at 6:30PM. Penance Service: Friday of April 12 at 6:30PM. Join Fr. Joseph Nguyen and St. Paul's parishioners on a Pilgrimage to Holy Land, Fatima, Spain, and Lourdes. Cost: $5981.00 Includes roundtrip airfare from Corpus Christi all hotels, breakfast and dinner daily. Sign up now; Seats are limited. Call Luz Garcia, 361-739-6087.